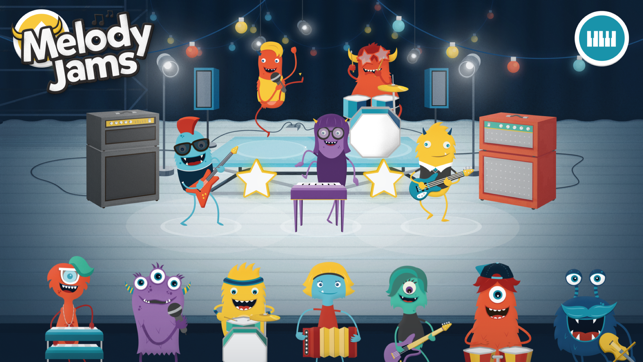 Melody Jams is the awesome new way to become a rock star! 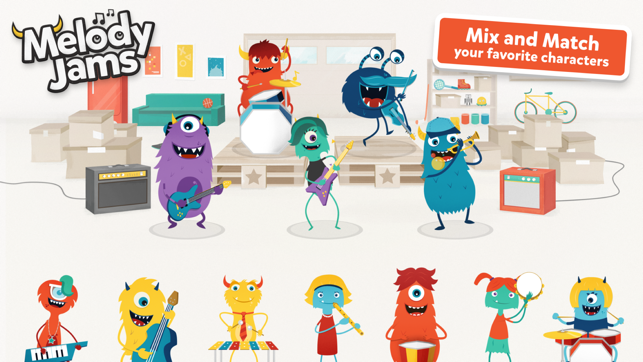 Mix and match your favorite characters in fun combinations to create your own songs, then jump in and play along! Join your Melody Jam band on the road to meet new friends, play new instruments, and experience the fun of making music with others. What are you waiting for, get out there and jam! Stay posted as we extend the Melody Jams tour by creating new jams,discovering new instruments, and making new friends! - You choose the sounds you want! 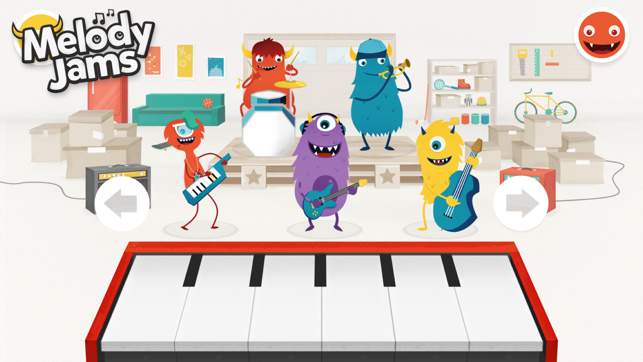 - Mix different melodies around to create your own music. 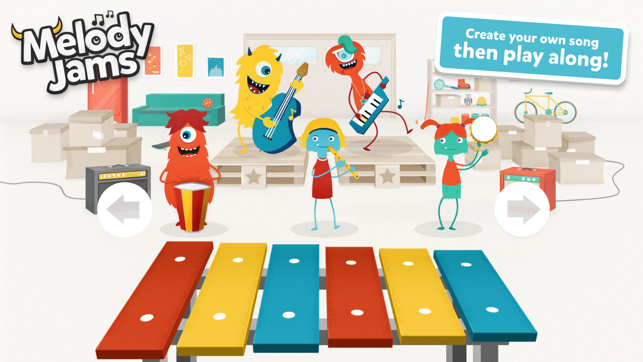 - Play along with fun and exciting instruments. 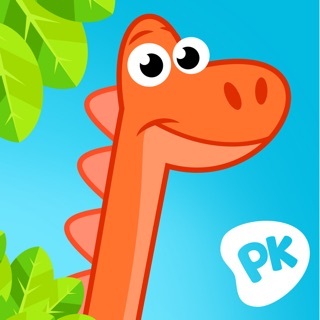 - Each monster has multiple sounds and animations. Drag around to discover them all! - Start in “The Garage”, then explore "The Big Show" and "Mars Disco". 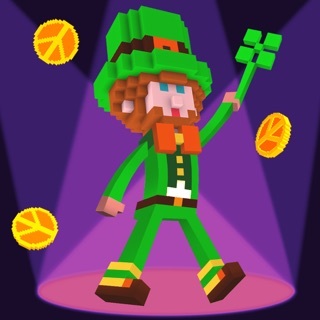 - No in app purchases and completely ad free! We have even more Jams on the horizon. Download and start rocking! You and your kids will love it! Learn more about the band at https://melodyjams.com. Melody Jams is a project that combines a number of our passions: Music, animation, and interactivity. 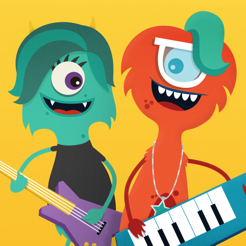 As a small group of designers, animators, musicians, and developers who spent their childhood creating music with friends, we wanted to re-create that experience for people of all ages. Meeting new people with different aesthetic styles and personalities made for great new experiences, memories, and ever growing friendships. Melody Jams was conceived, designed, and animated by James Bartley. Arbitrary coded and produced the app. Music was done by Nathan Mckee and Hani Zahra. The Melody Jams band has launched deep into space! 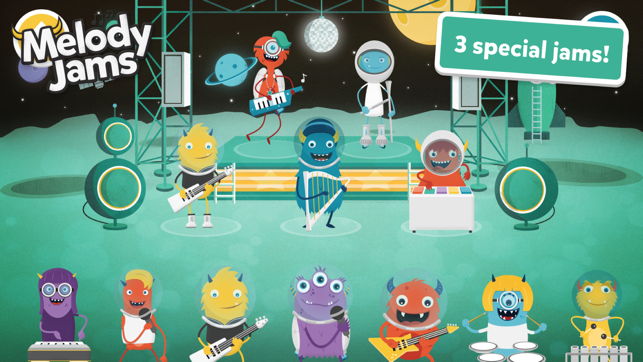 With four new instruments and an awesome new song, this jam is out of this world! We're feeling festive with our second app, Holiday Jams! 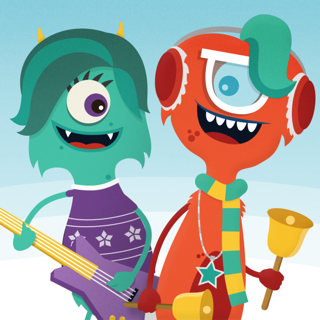 Holiday Jams features your favorite Melody Jams monsters in a candy cane wonderland. It's sure to warm your spirits up! Mars Disco! Love the newly added Jam. My son is really into space right now so he's getting a kick out of it. Well designed product and the animations are great. Can't wait for more! My husband, my 2 yr old , my 4 yr old, and I all love this app. Set it up with your speaker and make your own tune to dance to or just chill with. It's so neat! 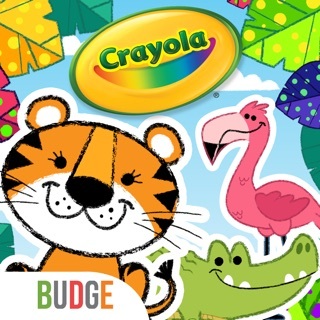 I downloaded this app for my 2 year old niece and 3 year old nephew and I found myself playing it when they're not around! 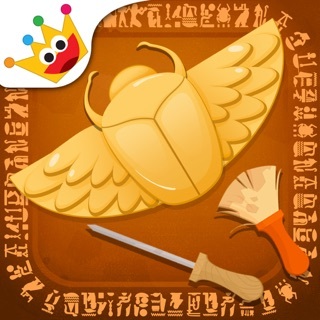 Great fun app! © 2016 Melody Jams Inc.